The 10 Best Places for Fried Chicken in Mississippi! If there's any state in the U.S. where you expect to find incredible fried chicken, it has to be Mississippi. Naturally, we have some strong opinions when it comes to the best place to get fried chicken around here! We've rounded up our best picks from around the state. 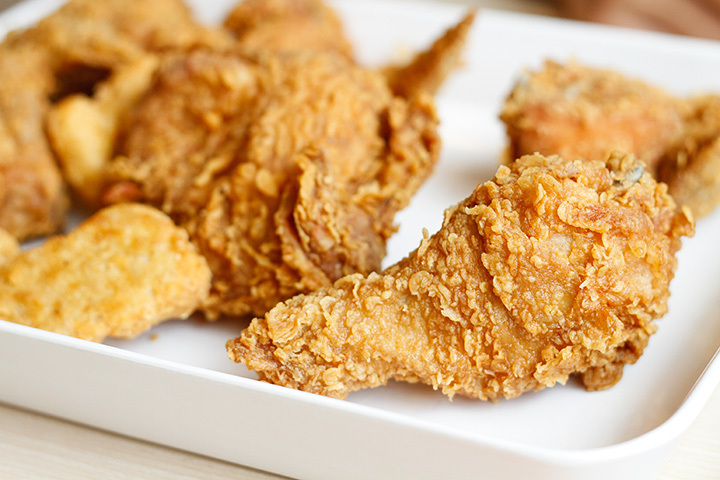 Grab a stack of napkins and get ready for the top 10 fried chicken joints in Mississippi! The Old Country Store in Lorman is world famous for one good reason—Mr. D's fried chicken. Located just off the Natchez Trace in Lorman, this all-you-can-eat buffet is loaded down with great food, but you'll want to go back again and again for the juicy fried chicken. Save room for dessert! Located a short drive east of Laurel, the town of Waynesboro is home to Mississippi Fried Chicken. This casual fast-food joint offers incredible fried chicken, and it's usually packed with locals. Be sure to get a little extra of the house sauce! Two Sister's Kitchen in Jackson is just the kind of place you expect to find incredible fried chicken. The atmosphere is homey and inviting and the food is the kind you got when you visited your grandma or favorite aunt. They're only open for lunch and there's usually a crowd, so get there early! Lusco's is one of the Delta's best restaurants, and you won't be disappointed by the fried chicken here. No need to decide between white or dark meat—at Lusco's, you'll be served an entire half of a chicken. They've been making their fried chicken the same way since 1933, and it's an experience you don't want to miss. Mama Hamil's in Jackson has been serving up delicious Southern cooking for four generations now. The first Hamil's was opened in 1977, and since then it has been winning over customers with their fried chicken, barbecue, and homestyle sides like greens and macaroni. And don't forget the banana pudding! Ms. Audrey's is the kind of place that got started by word-of-mouth and just never stopped growing. Ms. Audrey not only shares her love of cooking with her guests, she also teaches at-risk youth the valuable skills required to work in a kitchen. And her fried chicken is world-class! There are plenty of homestyle buffets across the state, but at the Dinner Bell in McComb, the food is served on large Lazy Susan-style tables. Guests may be seated next to complete strangers when they sit down, but by the time everyone is finished fighting over the chicken, they'll all be friends! May's Restaurant is another cozy little spot in a quiet Mississippi town with fried chicken that you'll be thinking about long after the meal is over. Paired with the sides that taste like they came out of the family kitchen, May's is a real treat! At Annie's in Holly Springs, you can count on getting delicious soul food done right. The service is all Southern hospitality, and Miss Annie runs her business with love—just the way you want it. Come in and make friends with the regulars and enjoy your big plate full of fried chicken. Hartz Chicken Buffet in Ocean Springs is an understated fast-food spot off Highway 90 where you can get a whole family-style meal to go or dine in at the buffet. The restaurant is clean and cozy and the staff is always friendly and welcoming! Don't miss this one!